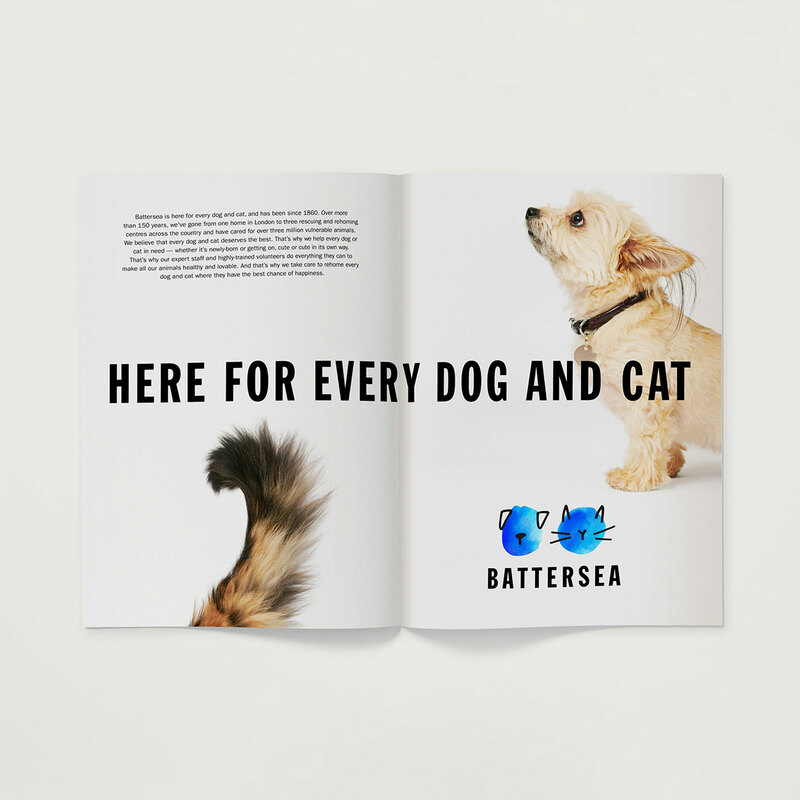 Much-loved charity Battersea (formerly known as Battersea Dogs’ and Cats’ Home) was recently given an entire rebrand by Pentagram Design Agency. 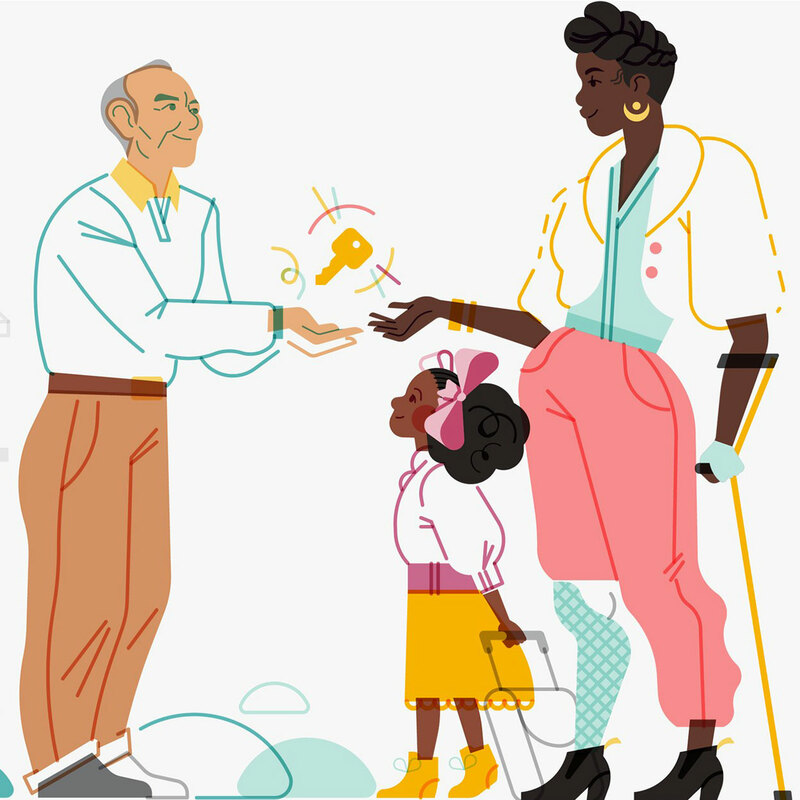 Featuring at the forefront of Battersea’s new visual identity is a ‘family’ of abstract, hand-drawn watercolour illustrations representing different breeds of dogs and cats in the charity’s signature blue. 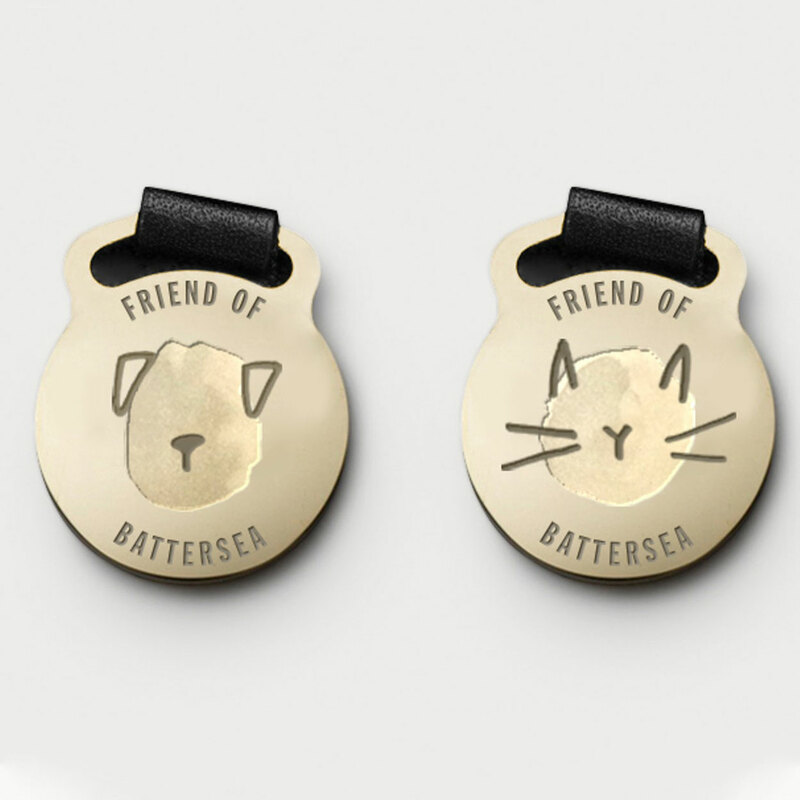 These playful icons are a subtle expression of Battersea’s warmth and humanity, emphasising their commitment to caring for every dog and cat that comes through its doors. 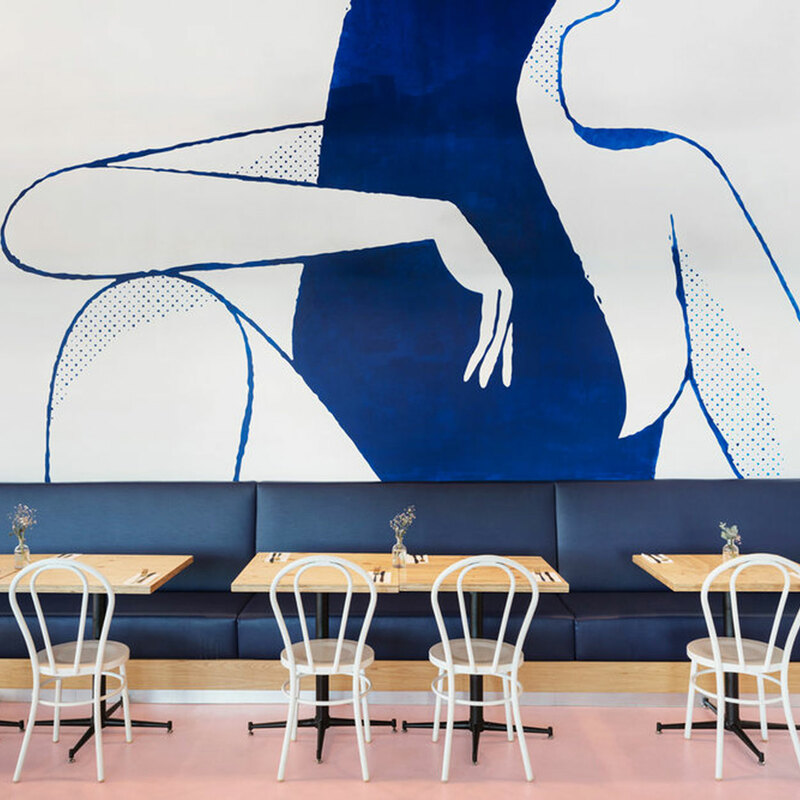 A gem in the Sydney café scene, Bare Witness certainly lives up to its ethos of ‘baring all’, with its bold visual identity marked by a series of curvaceous hand-drawn figures. 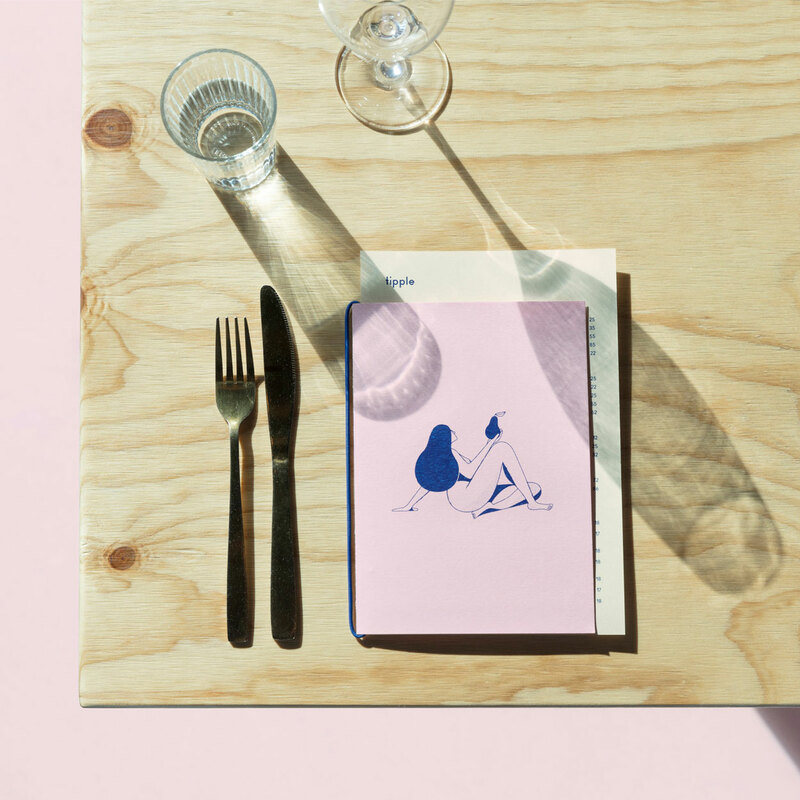 Yet beyond their cheekiness, these illustrations celebrate natural beauty with their imperfect textures and quirky lines, mirroring the café’s philosophy of respecting the origins of every ingredient. 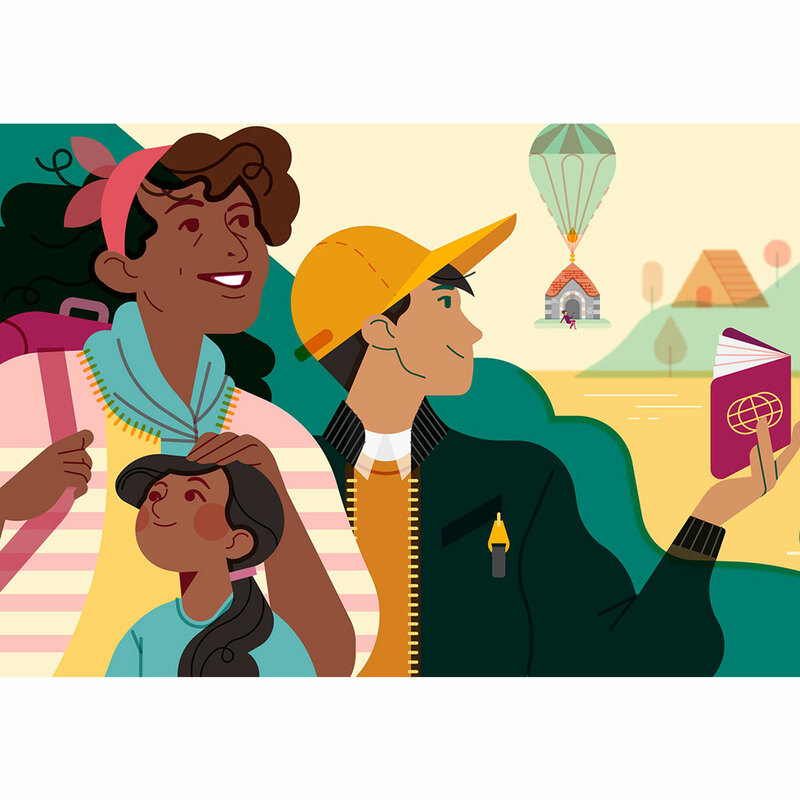 When tasked with developing a new illustrative style for Airbnb two years ago, artist Jennifer Hom was struck by the need to diversify the brand’s existing image. 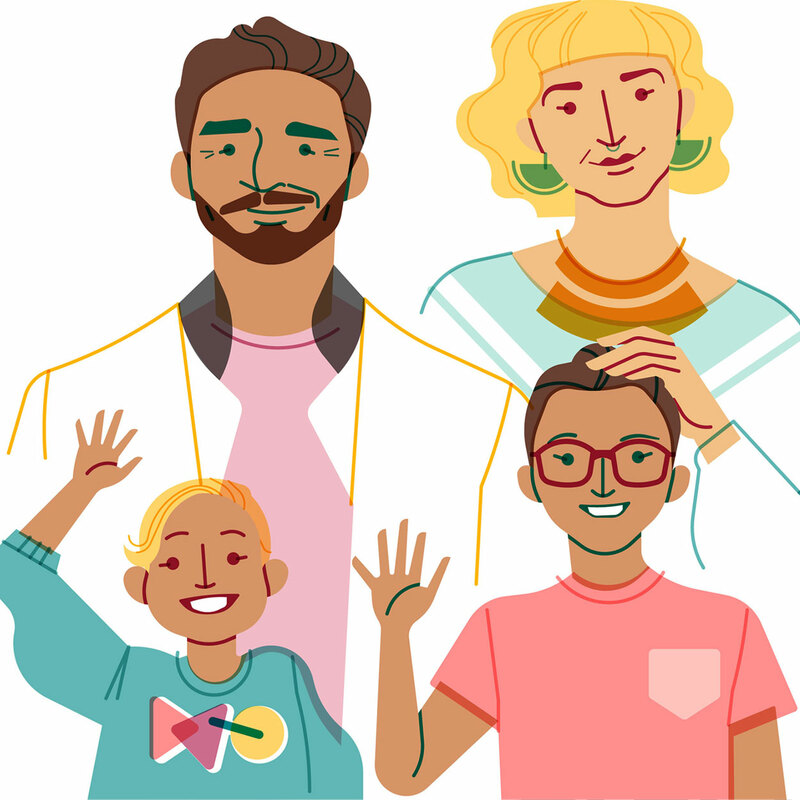 The result was a set of characters accurately depicting Airbnb’s global community. 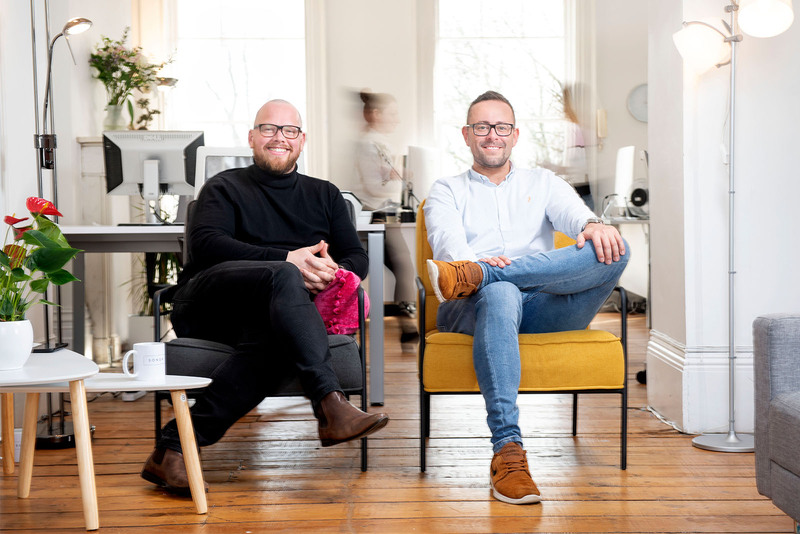 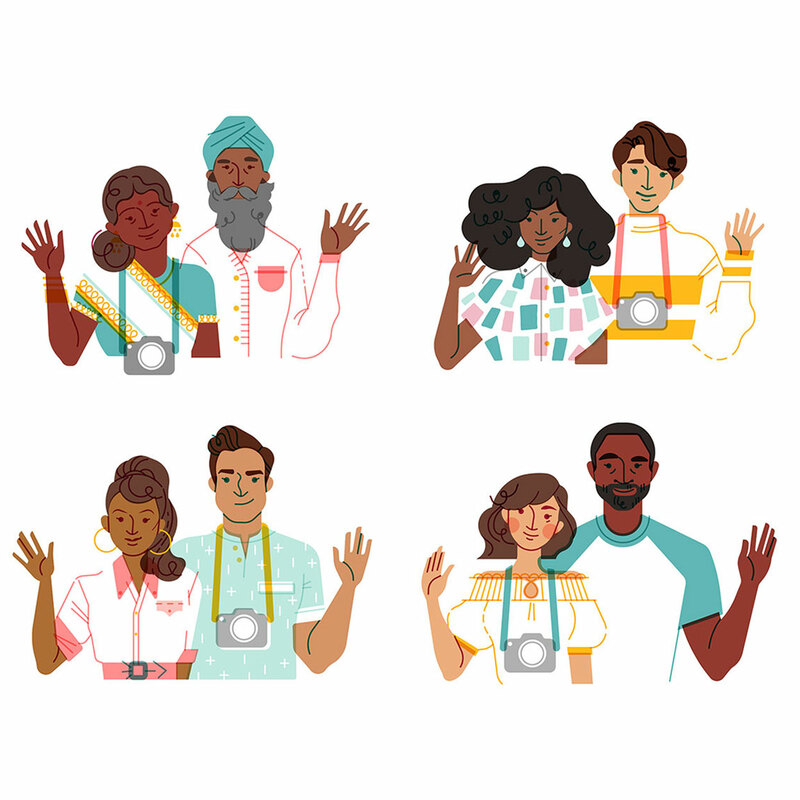 Through incorporating people of different ethnicities, ages, abilities and body types, Hom’s work successfully reflects Airbnb’s commitment to inclusivity, whilst reinforcing the power of illustration as a tool for social change. 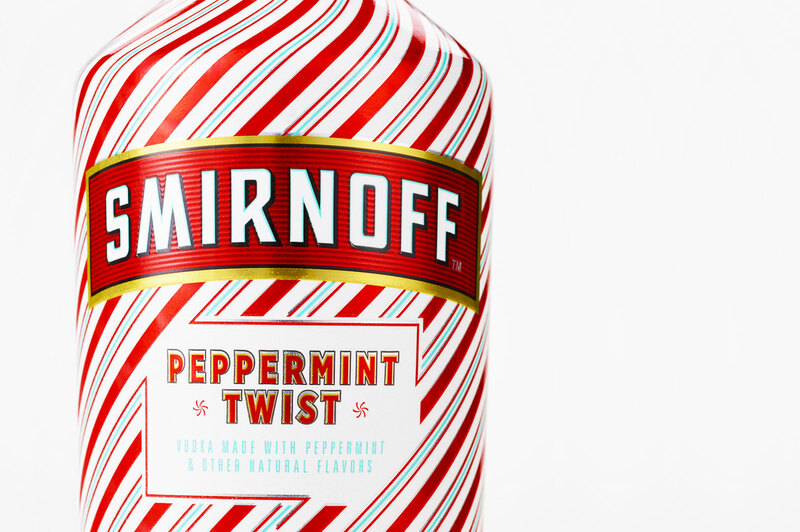 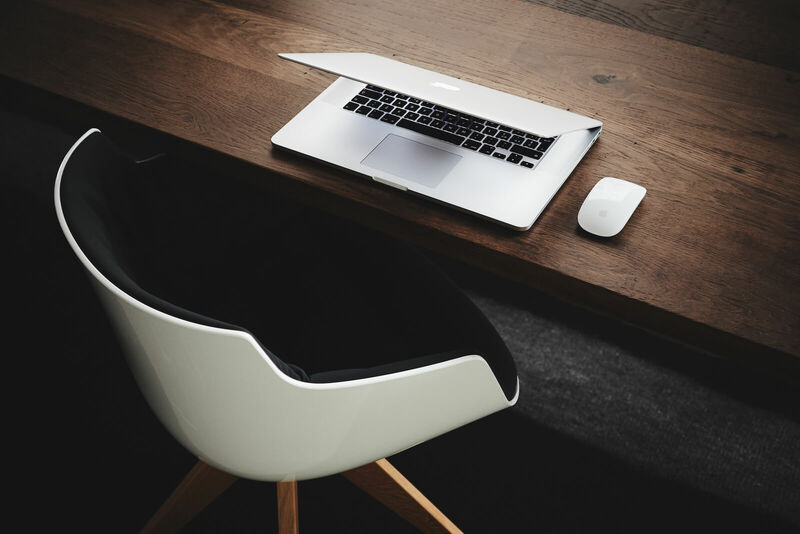 Elnaz applies her creative flair to various online and offline design-focused projects.